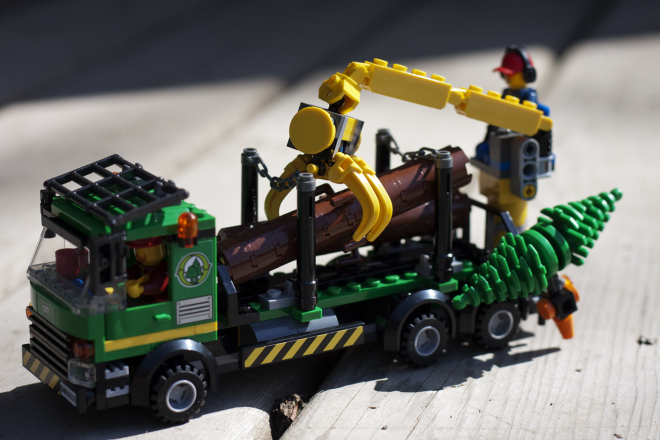 If you buy your logs from Bertie’s you will know that your firewood is guaranteed to be nice and dry and ready to burn, but are there are a few simple checks that can help you decided if a log is dry or still damp. 1. Dry wood is lighter than damp wood, the more it dries out the lighter it will get. 2. Dry wood tends to shed it’s bark and the end grain has cracks or splits. 3. When stuck against each other dry logs ‘ring’ and wet logs tend to ‘thud’. 4. Dry wood when split feels warm and dry, wet wood feels cool and damp. 5. Dry wood lights easily, burns brightly and gives off lots of heat. 6. Damp wood is difficult to light, hisses, spits and smokes, giving out little heat. If in doubt you can always check how dry firewood is by buying a moisture meter. 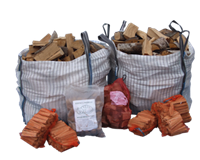 Ideally your firewood should have a moisture content of around 20% to make sure you are getting as much heat for your money as possible. 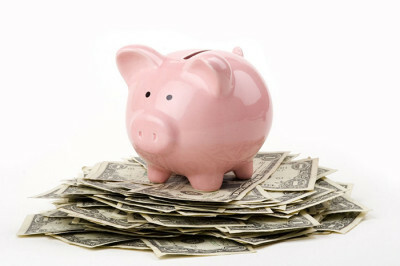 At Bertie’s we often get asked if you can save money by switching to wood fuel from other forms of heating. The answer is yes you could, but how much will depend on what fuel you are currently using for heating, how often you use your stove instead of other forms of heating and the quality of the wood fuel you use. 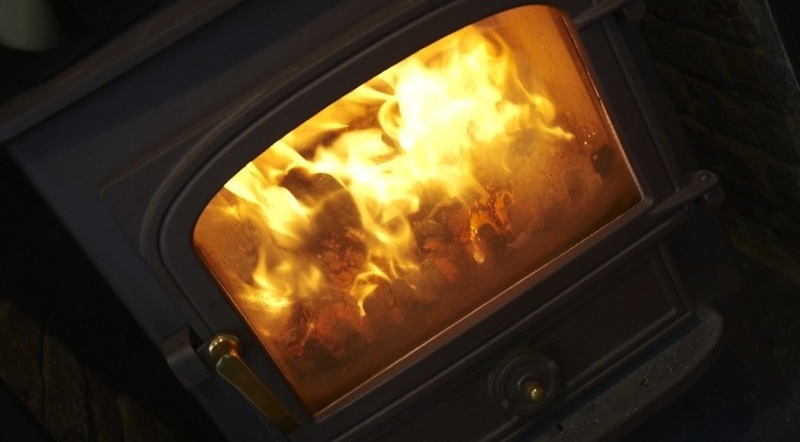 The latest figures from the Nottingham Energy Partnership, an independent body that monitors and compares energy prices, shows that the cost per kilowatt for seasoned logs is currently around 5.3p when the efficiency of the stove is taken into account. Given that Bertie’s logs are kiln dried to an average moisture content of 20% we would like to think that Bertie’s kiln dried logs should work out cheaper than ordinary seasoned logs. Here’s a list of common fuels with the price per kilowatt after the efficiency of the appliance is taken into account, prices relate to December 2014. 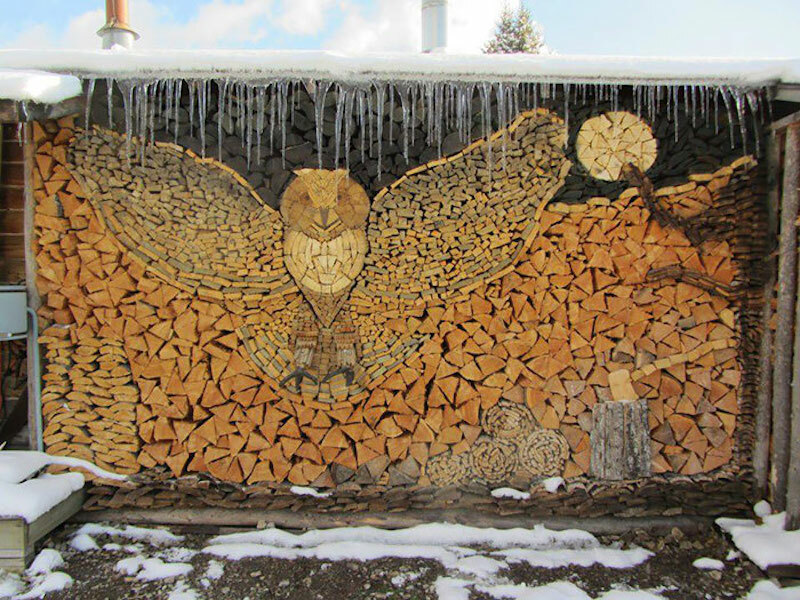 If you would like Ed to artfully stack your firewood for you then we would be pleased to quote. Owls are Ed’s favourite images at the moment, prices start from only £2000.00 (logs extra). 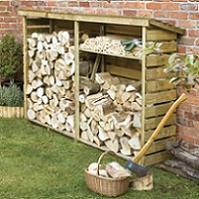 If you don’t need your logs stacked quite so artistically, don’t forget Bertie’s offer a Log Stacking Service to take all the strain and pain away from this chore. On a really cold day there’s nothing nicer than getting home and lighting your stove to warm up, but sometimes in Winter the stove can be difficult to light and even blow back smoke into the room. Why? Well the answer is, during cold weather your flue can get blocked by a ‘plug’ of cold heavy air, which can force the warm air produced by the stove back into the room. To get around this problem try lighting a small hot kindling fire to warm up the air in the flue and create the draw the stove needs to work efficiently. After about 10 minutes the flue should be warm enough for you to add logs as normal and start warming up the stove and room. Another ‘trick of the trade’ is to point a hair dryer up the flue to warm up the flue!